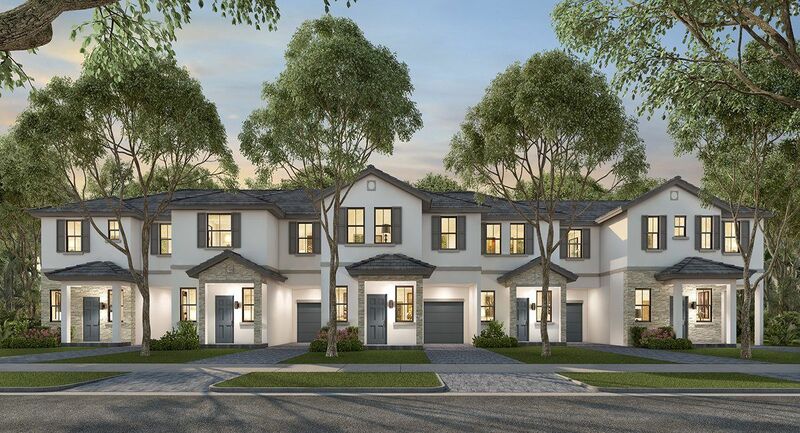 The Edge on 15th, is Lennar’s contemporary, new townhome community in Fort Lauderdale’s Edgewood neighborhood. Ideally located near just east of I-95, top-rated schools, world-class shopping and dining, as well as gorgeous beaches, this beautiful community offers the best of urban living. Nestled in a booming hot-spot, The Edge on 15th is an inviting oasis where families and young professionals can enjoy exciting amenities—including an aquamarine pool and relaxing sundeck—or revel in the lush, tropical landscaping. Sleek architecture and minimalist design add to the community’s allure, and with five townhome designs, the perfect space for your family awaits. Smart Home Technology with activation and support by Amazon and voice control by Alexa delivers connectivity, safety and convenience, while Lennar’s Everything’s Included® experience ensures that you don’t have to compromise on luxury features. At The Edge on 15th every measure has been taken to exceed your expectations!